Home, cabin, lodge, cottage, den Decor. 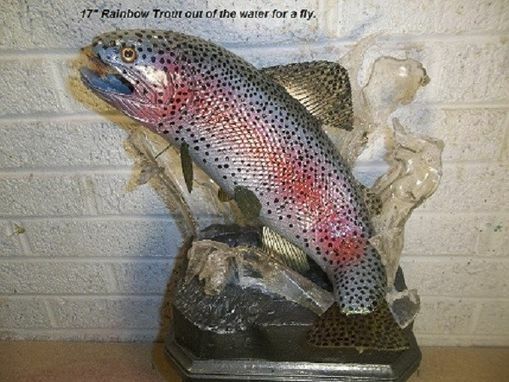 Replica of a 17" Rainbow Trout Breeching completely out of the water after dinner. Very colorful, excellent detail by Wildlife Artist Dan Barden. 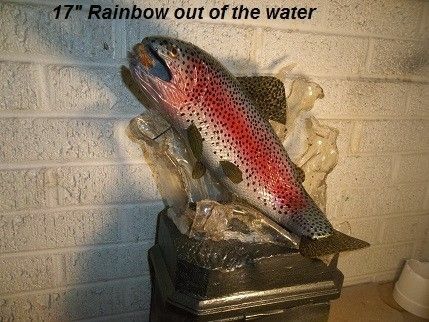 Carved from High density urethane foam, similar to what taxidermists use. 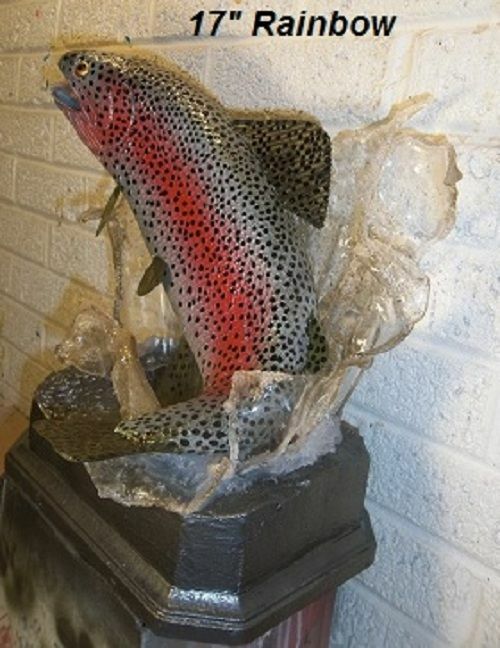 This is Wildlife Art, not Taxidermy, and the price reflects a huge savings over taxidermy. Approx. 14"x8"x8". Finished on both sides for tabletop or desk display. Dimensions: Approx. 14"x8"x8". Finished on both sides for tabletop or desk display.